In recent months, there has been a sharp rise in racist attacks and attacks on mosques, including arson and nail bombings. EDL marches are helping create and sustain and environment where such attacks are possible. It is important that we stand up and stand united against their presence. 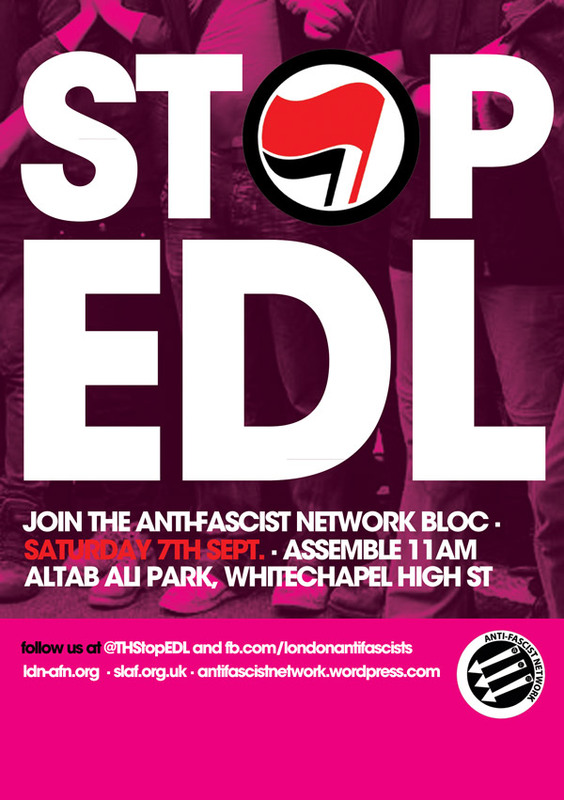 The Anti-Fascist Network is calling for as many people as possible to come onto the streets on Saturday 7 September. The more people that attend, the safer and more empowering it will be for all of us. Ban or no ban, we want to make sure that the EDL do not get to intimidate people and parade their hatred through the streets unopposed.